Blount’s disease is sometimes known as Tibia Vara, or Osteochondrosis Deformans Tibiae. This is a growth disorder of the shin bone (tibia) characterised by inward turning of the lower leg (bowing) that slowly worsens over time. While it is not uncommon for young children to have bowed legs, typically the bowing improves with age. There are two types of Blount disease (early-onset and late-onset), based on whether symptoms begin before or after four years of age. Blount disease may occur in one or both legs and can lead to shortening of the affected leg and other changes within the bones of the legs. Bowing of the shinbone from just below the knee to the ankle is the most common symptom. This is the result of stress placed on the growth plate at the top of the tibia, causing the bone to slow down or stop maturing on the inside of the leg while the outside part continues to grow. The growth plate, also known as the epiphyseal plate, is made of cartilage (weaker than bone) and is the area of growing tissue near the ends of the long bones in children and adolescents who haven’t reached skeletal maturity. The uneven bone growth causes the tibia to bend outward instead of growing straight. A child may not feel any pain at all, but adults could experience discomfort on the side of the knee joint and down the inside of the leg. For children, the biggest impact of Blount’s disease is through walking as one may limp or frequently trip. Regardless of age, if not treated, this condition will lead to progressive deformity. A physician will prescribe a HKAFO (hip-knee-ankle-foot orthosis) or a KAFO (knee-ankle-foot orthosis) to help redistribute the forces on the growth plate to establish normal maturity. The brace must be worn for roughly one to two years to see changes in the shape of the shinbone. If there is no sign of improvement within the first 12 months, then surgery will be recommended. 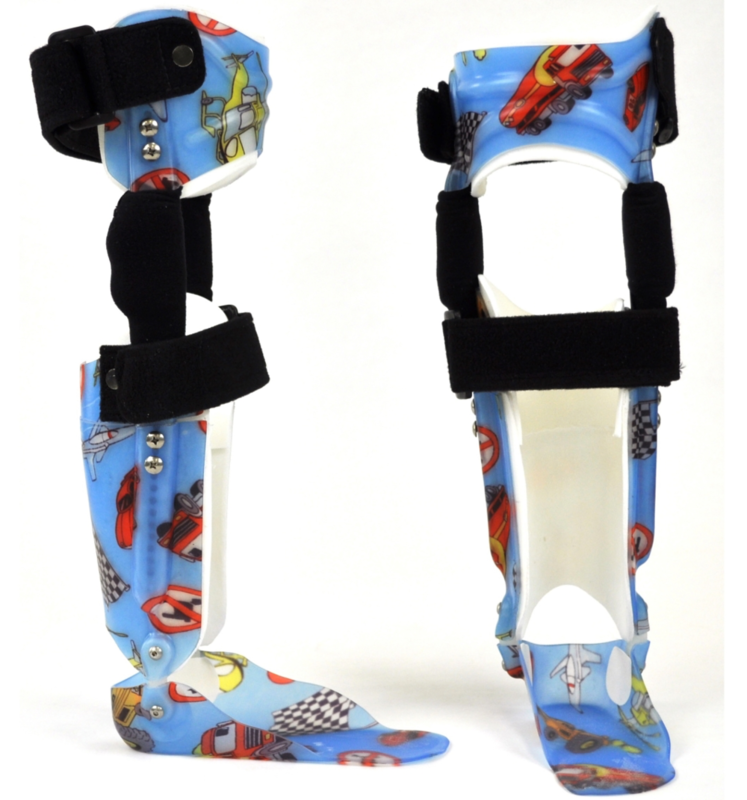 Our Blount's orthosis is a unique KAFO custom fabricated for your youngest patients with Blount's disease or other conditions affecting the alignment of the lower legs. 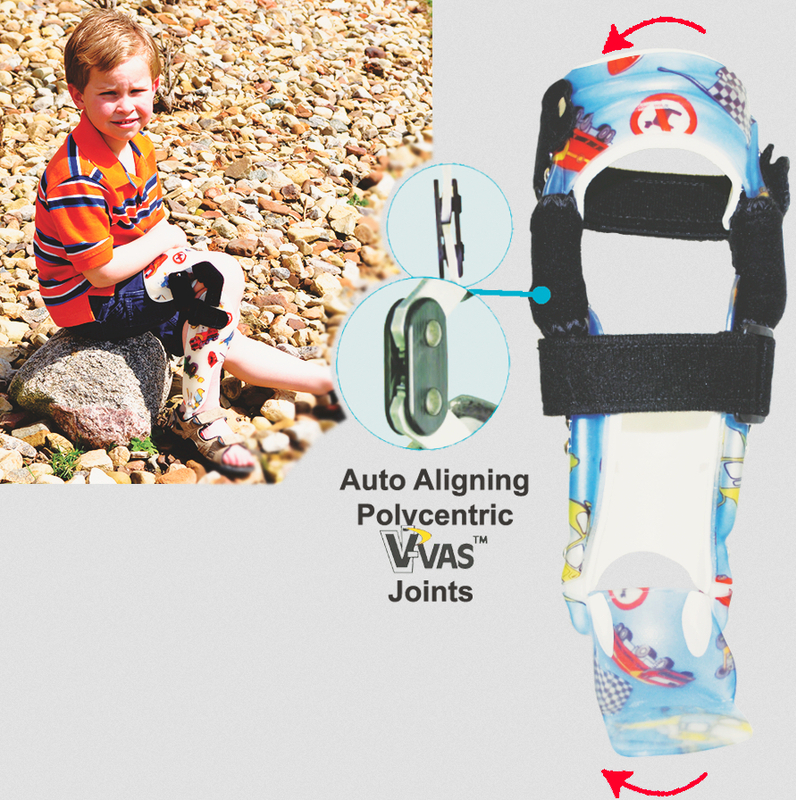 The orthosis uses the dynamic V-VAS™ joint system and allows for sequential correction of the deformity and accommodates growth. Patient compliance is not an issue due to the auto-aligning, free motion polycentric knee joint capabilities that have the ability to isolate measured tibio-femoral alignment in 2 and 4 degree increments. It is the only system that creates a correction force throughout the full range of knee motion. 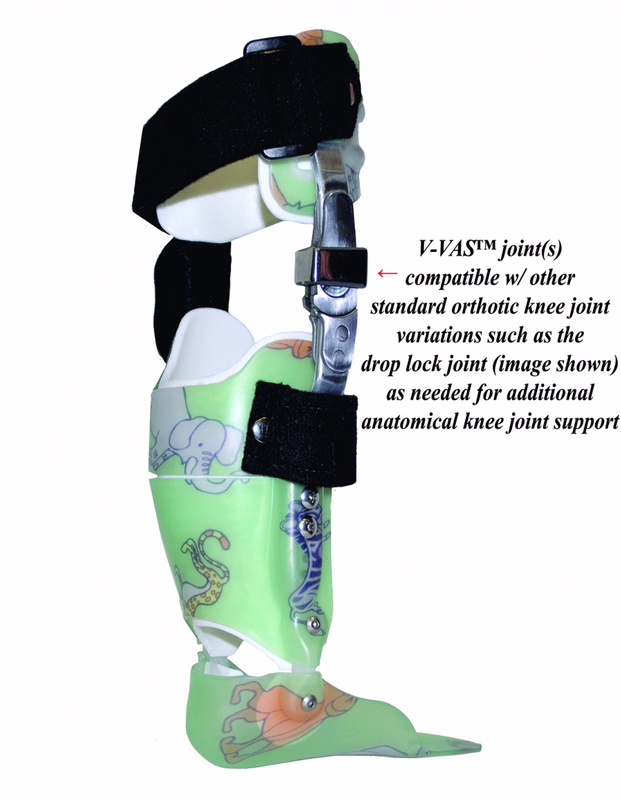 The KAFO design is adaptable to incorporate a medial or lateral step lock or drop lock joint opposite the V-VAS™ joint to simplify straightening adjustment and increase knee stability if this is needed.